It’s been a rocky start for virtual reality manufacturers in general. But Oculus—the company that made people believe in VR again—may be having the hardest time of all. It’s been a year of sluggish sales, PR nightmares and one big time defeat in court. Now, Best Buy is pulling hundreds of demo stations from its sales floors. Back in 2014, Facebook convinced the world that this VR thing was for real when it placed a massive bet by snatching up Oculus for what it said at the time was $2 billion. Established tech giants like Sony and HTC quickly jumped in to cut off Oculus before it could corner the market on the next big boom. Multiple “Oculus Ambassador” workers BI spoke with said that, at most, they would sell a few Oculus headsets per week during the holiday season, and that foot traffic to their pop-ups decreased drastically after Christmas. “There’d be some days where I wouldn’t give a demo at all because people didn’t want to,” said one worker at a Best Buy in Texas who asked to remain anonymous. 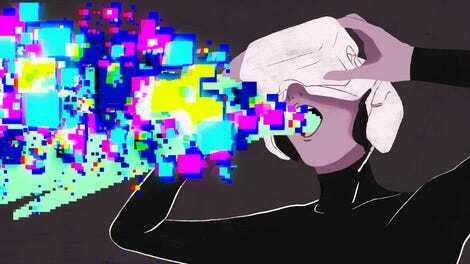 Another worker from California said that Oculus software bugs would often render his demo headsets unusable. We reached out to Facebook for comment and an Oculus spokesperson informed us that this was part of some “seasonal changes” and that the company is “prioritizing demos at hundreds of Best Buy locations in larger markets.” It’s odd that demo stations for successful devices like the Playstation 4 never seem to go out of season. Aside from the signal that Oculus sales aren’t great, the loss of demo opportunities is a major blow because the company spokesperson even acknowledges live demos are, “the best way to learn about VR.” That’s not good. I can tell you from personal experience that standing around in public, strapping a unit to your face and looking like a fool is not pleasant. Until last month, we didn’t even know the real price that Facebook had paid for Oculus. Zuckerberg revealed in a Texas courtroom that initial $2 billion number was actually closer to $3 billion. The CEO was on the stand battling an intellectual property lawsuit brought by John Carmack’s former employer Zenimax. The court ruled in Zenimax’s favor and ordered a $500 million judgment. 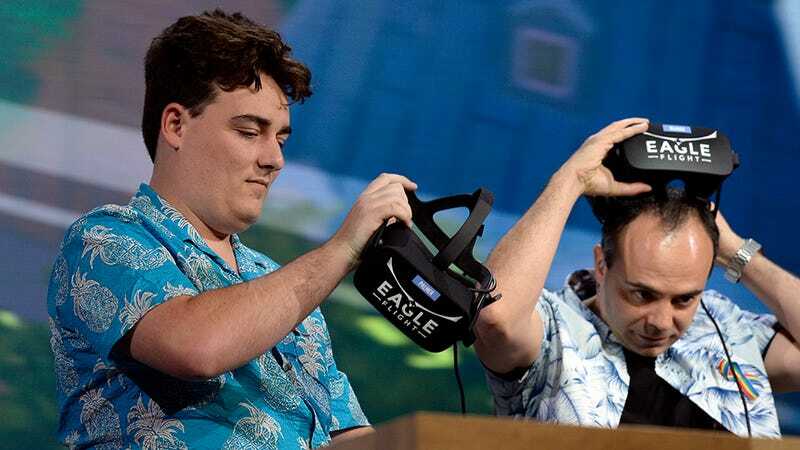 Is Facebook Disappearing Oculus Founder Palmer Luckey?